The Dalai Lama said he is looking forward to meeting Donald Trump after he assumes office on 20 January. The Dalai Lama, the exiled Tibetan spiritual leader, is not worried about US President-elect Donald Trump and is rather looking forward to meeting him after the official start of his term on 20 January. Speaking at the conclusion of a four-day visit to Mongolia, the spiritual leader said on Wednesday, 23 November, that he expects Trump to work according to the realities of the world. Trump had often lashed out at minorities like Muslims and Hispanics during his election campaign. He had been widely criticised for allegedly spreading hatred among the people through his speeches during election rallies. But the 81-year-old monk said he was not concerned about the remarks made by Trump in the past. "I feel during the election, the candidate has more freedom to express. Now once they (are) elected, having the responsibility, then they have to carry their cooperation, their work, according (to) reality. So I have no worries," the Associated Press quoted him as saying. The Nobel laureate, living in exile for decades in India, said he has always regarded the US as the leader of the "free world". 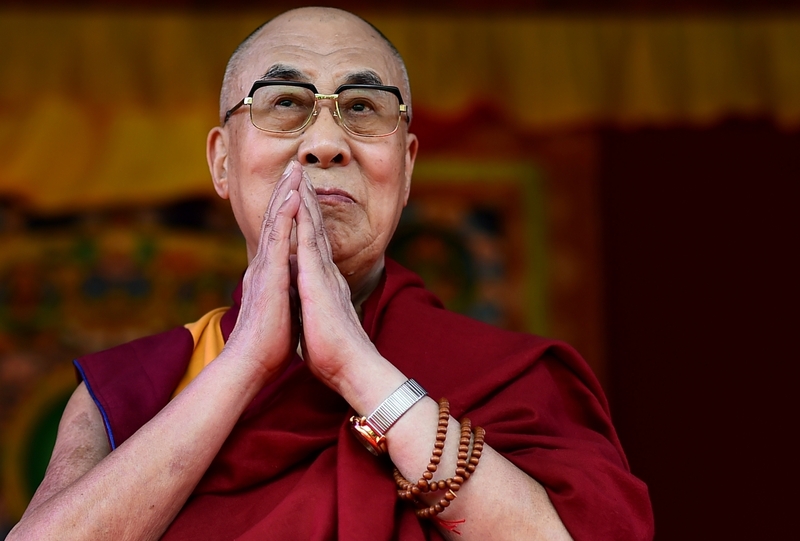 The Dalai Lama's praise for the US and the incoming president threatens to further aggravate tensions between him and the Chinese administration that accuses him of wanting to split Tibet from China. China had strongly criticised the monk's meetings with President Barack Obama in the past and had warned Washington against showing support to the Dalai Lama. China also strongly opposed his recent Mongolia trip and even demanded that the host nation cancel the visit. However, the Dalai Lama clarified that his visit to the primarily Buddhist nation had no political agenda. He also clarified that he never publicly sought independence for Tibet since 1974, and has been advocating for it to remain under Chinese rule. But the communist regime in China should give greater political participation to Tibetan people and also provide stronger protections for their traditional Buddhist culture, the monk said. The Dalai Lama's remarks come at a time when China-US relations face uncertainties, given the suspense about Trump's stance on China. Although Chinese President Xi Jinping has extended an offer of friendship and cooperation to Trump, it is still unclear what the president-elect will do once he takes over in January. China and the US have been at loggerheads on most global issues, challenging each other on international platforms. However, following Trump's victory in the presidential election, Beijing has shown keenness on forging friendly ties with Washington.